Today I have quickly thrown together a library to add support for TOML to the Vert.x Configuration service. I did this after reading 2 blog posts on both YAML and JSON being not so great as configuration file format solutions and then looking at some of the applications I was working on using JSON as a configuration format. The 2 blog posts in question were by Martin Tournoij (arp242), the first about JSON and the second about YAML. Both were written in 2016 but the YAML one has become popular on Reddit this week. Quick update to this blog. I have configured and forced the use of HTTPS. The most annoying parts were waiting for DNS entries to update and then editing files in my Jekyll settings to make sure https:// was used instead of http:// where appropriate. In other news I have noticed I need to fix some formatting in my previous post so it looks good on smaller devices, unfortunately I did not have Jekyll running on the machine I wrote that post on so could not preview the post before publishing. 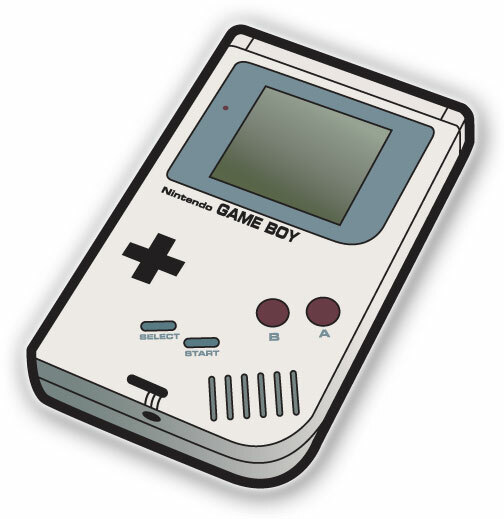 For quite some time I have had the idea of making a simple bot that could play one of my favourite (old) games; Pokémon Red for the Nintendo GameBoy. Given that Pokémon Red and Blue were released in 1996 in Japan, (1999 here in the UK) they couldn’t be too hard to program a bot for right? Wrong. Pokémon Red is a role playing game (RPG), and a well made one at that, which means it is relatively complex as a result. How complex? Well you can actually look at a dissembled and annotated version of the assembly code that makes up the game on GitHub to get an idea. Sufficed to say, there’s a lot of code there! However it’s a fun game that I spent many days playing back when I was younger so let’s give it a go! Before I propose my approach to making a bot for this game I am quickly going to go over some of the mechanics of the game; this won’t be a super in-depth overview of the game, for that I suggest reading the game’s manual (remember those? ), watching a playthrough online or playing the game yourself (there’s always copies for sale online, or you can emulate it on your computer). The over-world itself is quite expansive with 10 towns, dozens of routes and, many more areas to explore. Each of these areas is made up of a gridded map with both static and mobile objects that can be collided with. The player explores these areas by moving around using the directional buttons and A button to interactive with objects. There are also special moves (HMs) that become available as you progress opening up access to before closed off areas. Building a bot that can automatically run through the game and deal with these obstacles could prove to be quite a challenge on it’s own but I haven’t mentioned the fact that battles are triggered whilst in the over-world forcing you to fight wild Pokémon or other trainer’s Pokémon! Battles commence with a wipe to black animation (that differs depending upon if it’s a wild Pokémon, Trainer or Gym Leader). You’ll notice in that screenshot there is also a STATUS, IDNo and, OT. “Volatile” states include special statuses that only last during a battle like confusion, being in a bind, leech-seeded etc. For more information on these statuses see this excellent article on Bulbapedia. The IDNo and OT pieces of data that identify who first caught this Pokémon. With IDNo being a generated “unique” ID for the player and OT standing for Orignal Trainer and being the name of the player who caught the Pokémon. Pokémon also gain experience and level-up during the course of the game. This increases their stats, allows them to learn moves and sometimes evolve into new Pokémon. Normally experience is gained as a result of combat but some items can do this too, notably the Rare Candy. This is a big topic but the essentials are higher level = stronger Pokémon. Again for more details, including formulae for how leveling works you can read another article on Bulbapedia. The FIGHT menu lets you choose from the attacks your Pokémon knows. Your Pokémon is limited to having up to 4 attacks. Each of these attacks has a number of Power Points (PP) these are the amount of times an attack can be used before you need to restore the PP using an item or by visiting a Pokémon Centre to heal your Pokémon. Each attack also has a type that is used to determine bonus damage against Pokémon of certain types e.g. FIRE is effective against GRASS. You can see your Pokémon’s type by looking in the Pokémon menu from the over-world screen or the PkMn menu from the Battle screen. There’s quite a lot of types in Pokémon Red/Blue and a chart for showing the advantages can be found here (again on Bulbapedia). Not all attacks do damage, some just effect the stats of yours or the opponent Pokémon temporarily during battle. For example the GROWL attack will reduce the enemies ATTACK stat. Some also inflict status effects as mentioned previously. Given the complexity of the game it’s clear that I need to divide my efforts up into parts. But before all that I’ll need a way of running the game and bot, that’s where an emulator comes in! There’s a lot emulators out there for the GameBoy and GameBoy Color. At one point I considered, and started to write my own. But this is an arduous and time consuming task in it’s own right. Instead of writing my own I have settled on the idea of augmenting an existing Open-Source GameBoy emulator to serve as the engine for running the actual Pokémon Red game. A quick search of GitHub reveals there to be quite a lot of GameBoy emulators. In an effort to limit these results and choose something I can get started with quickly I limited this list to those written in Java and found the first one to be an incredibly popular repository that was mentioned in a good blog post in February 2017 and also based on a talk entitled: The Ultimate Game Boy Talk which is a fantastic talk on the architecture behind the GameBoy. This emulator, called Coffee GB, whilst sparsely commented is structured incredibly well, very easy to follow and, hopefully easy to integrate and extend. There are myriad of websites where you can find ROM dumps of original GameBoy games although I do not condone this act unless you own the original game, you can also dump your own cartridges if you’re crafty enough by using an Arduino or Raspberry Pi and some electronics sorcery. Luckily I do own the original cartridge and have access to a ROM dump that matches my copy. Both goals complement each other, and with them in place I can build upon them later to create a more fully fledged bot. The former should be relatively easy to do as most emulators have hooks to do such things since you need to pass control from the user to the emulator. The latter will be harder as it involves reading the memory (RAM) being emulated filtering and, converting it into usable information. Luckily a lot of work has been done in this field as Pokémon is a very popular game amongst ROM Hackers; people who essentially mod ROMs of old games to create new and modified content. Romhacking.net is a site dedicated to this hobby and has an extensive wiki that includes a RAM Map of Pokémon Red/Blue (with much of the data gleaned from the dissembled source code). Something that may also prove useful is the fact that there are many tools released for ROM Hacking Pokémon Red/Blue such as map editors that read the hardcoded layout of the maps in the game. That’s all for this post, stay tuned for the next one where I will have made some progress on this project! After some deliberation, I have decided to create a new blog to maintain some presence online. I opted to use the static site generator Jekyll and Poole (specifically it’s Hyde theme) to create a simple static site. It’s my hope that I can write occasional posts on various technical subjects I find interesting.